The wall-mounted urinal has a size of 31 x 40 x 49 cm, and its material is ceramic. The urinal uses a gravity flushing method and has a top spud location. The wall-mounted urinal uses gravity to move water through its system when flushed, and multiple units are often placed together in public settings. The shape of the urinal reduces splash back, ensuring easier cleaning, and the urinal allows for more efficient use of space and reduction in water use when compared with traditional toilets. 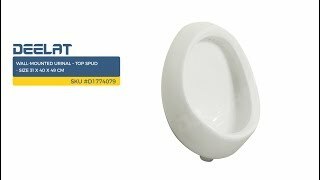 The wall-mounted urinal is used in institutional and commercial restrooms and even in bathrooms in private homes. Best answer Hello Ryan, thank you for your question. The direction the outlet faces is downwards and the size for the outlet is 2.5 CM. We can provide schematic drawings of the urinal as well as photos. Best answer Hello Ryan, thank you for your question. We can certainly provide photos as well as schematic drawings of the urinal. Please contact our customer support team and we will be more than happy to email them to you. Best answer Hi Darren, thanks for your question. Yes, this urinal is Watermark approved. 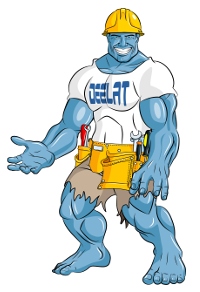 If you need assistance with your purchase, please call our sales team at 1-888-667-5776 or email at sales@deelat.com!